At Band CDs and our parent company, Wizbit Internet Services Ltd, we take our environmental responsibility very seriously and try to make our company and CD, DVD and cassette packaging as green and environmentally friendly as possible. All of our electricity comes from ecotricity.co.uk on their New Energy Plus tariff that is 64% produced by Ecotricity wind turbines and then topped up by 100% renewable energy from other providers, leaving us with 100% green electricity. Any discs or cases that are wasted during production are sent for recycling where the aluminium and polycarbonate contents are separated and then used in the manufacture of new items that require hard plastics or aluminium. We use a company called Green Ant Recycling based in Lincolnshire as they can process a huge range of polymers including HDPE, LDPE, PP, ABS, PC, HIPS, PA6, PA66, MDPE, PC/ABS and many more. If you have any CDs, DVDs or cases that you would like to be recycled then please visit the greenantplasticrecycling.co.uk web site for further information of where to send your discs. We also provide waste discs and cassettes to artists for installations and works that reuse them. Many of our products can be supplied on recycled card stocks rather than the plain white standard stocks, plus we also have some specific products that are 100% recycled, such as our Eco digipaks that are made from recycled card and then have a disc tray made from recycled egg boxes and a central disc stud made from cork! They look really unusual and very eye catching if you want to help promote your product as being kind to the planet. 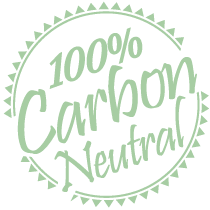 Our main couriers, Interlink Express, are also 100% carbon neutral, so for any emissions from their delivery vehicles, they are busy planting trees or helping to reduce pollution across the world through carbon offsetting. Most of our employees live locally to where we are based in Hampshire, we have staff that participate in the Cycle to Work scheme operated by the government, 50% of our company cars are zero-emissions electric vehicles and we try to minimise the carbon footprint in the office through LED lighting and turning off equipment that isn’t in use where possible. We also recycle cardboard packaging in addition to the disc recycling mentioned above.